With over 30 years of experience in the sign and display industry, the Dragon team consists of highly experienced, skilled and successful graphic design and technical personnel. 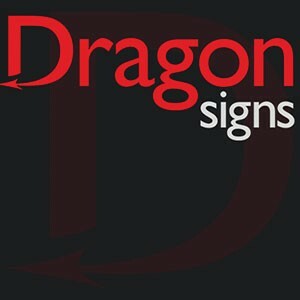 The Dragon Sign and Print head office is based in the city centre of Cardiff. We supply clients throughout the UK and have been operating from our current offices and assembly site for four years, successfully supplying new and old clients with their complete signage requirements. Our client base is vast ranging from SME’s through to international companies thus proving we can manage all requests. We offer the complete sign and print service. From initial on-site surveys or consultations to design, manufacture and installation. Our professionalism, product quality and competitiveness have helped us gain repeat business from well established clients and these same attributes continue to attract new clients.